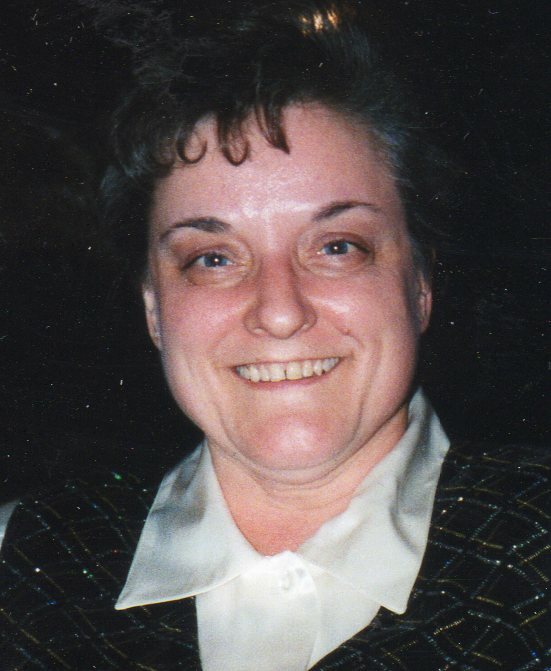 Erika (Gerner) Garlock, 69, of Fremont, OH passed away at her home on December 16, 2017. She was born on April 5, 1948 in Grobheppach, Baden-Wurttemberg, Germany to Jakob and Margaretha (Vogel) Gerner. She moved to the United States with her family at age 8 and became a citizen at 16. Erika graduated from Fremont Ross High School in 1966 and attended Waldorf University in Iowa. She married Joseph H. Garlock on May 7, 1972 at Faith Lutheran Church in Fremont and he survives. Erika worked at Union Carbide/Eveready for twenty-seven years, Kmart in Fremont for twenty years and was currently employed at H.J. Heinz for the past eighteen years. She was a member of Faith Lutheran Church. She loved to spend time with her family and attending her grandchildren’s events. Erika is survived by her husband or forty-five years, Joseph H. Garlock, Fremont; children, Dottie White and Rueben Garlock both of Port Clinton, Joshua Garlock, Matthew (Miranda) Garlock and Benjamin Garlock all of Fremont and Michael Garlock, Oak Harbor, OH; grandchildren, Tony (Irina) White, Brandi White, Hannah Castro, Erik, Avery, Michelle and Keegan Garlock; great grandson, Maximus White; brother, Nicholas Gerner, Fremont and several nieces and nephews. She is preceded in death by her parents; brothers, Gunther and Franz Gerner, grandson, Alexander Garlock. Visitation: Tuesday from 2 to 4 and 6 to 8 p.m. at Wonderly Horvath Hanes Funeral Home, 425 E State St., Fremont. Service: Wednesday, December 20, 2017; 11:00 a.m. at Faith Lutheran Church, 1187 Co Rd 128, Fremont, OH with an hour of visitation prior to the service at the church. Pastor Scott Mauch will officiate. Dear Garlock Family, I remember Erika well as she graduated with me. She sad behind in several classes. Very, very nice girl. My deepest sympathy. Too You. RIH-Erika. My deepest sympathy to Joe and family. I worked with Erika at Kmart for 15 Year’s, and we had a great friendship. She was such an angel. Fly High with the Angels, Erika. You will truly be missed. May God comfort your family in this time of grief. So sorry for your loss. Erika was a very caring person. I’m sad that she did not get to enjoy retirement. She was a hard worker. Rest in Peace Erika. What a wonderful woman the world has lost. You will be missed, Erika! We will miss you forever Erika. You were an amazing grandma and person. Always thinking about other people and taking care of everyone. A heart of gold. Thinking of everyone. I’m thinking of her leaving unexpectedly. I work with her at 2 plants for years and always enjoyed seeing her at Kmart. My heart is heavy she was a kind person and I will miss her my condolence to the family. Erika was one of my favorite people to work with at Kmart! She was always so kind and such a hard worker! Erika made a positive impact on so many lives, we are so lucky to have met and worked with her! She will be greatly missed! My deepest sympathies. I send my sympathy and thoughts and prayers are with the family at this sad time. May they find strength, comfort, and peace in the days to com. My condolences to Joe and the family Erika was one of the few people I could truly call a friend . She was a one of a kind co-worker she will be missed ! My condolences to the whole family, Mike and Tony stay strong for your family in this trying time. My heart is heavy she was a kind person and I will miss her my condolence to the family. May you find faith, and know she is safe in the arms and the angels! Sending so much love, to all of you! God bless! She was a good lady. I will forever miss her. I remember the day she died like yesterday.